So does anyone use other websites frequently? Or other forums? I also use a Formula 1 forum, and am a member of a couple of other places, but don't use them regularly. I am aware of the River Cottage forum, but haven't joined as yet. Freecycle and Freegle are good for getting some useful things from. Other than this forum, the only other 'networking' site I use is Facebook; I used to use Bebo but it very quickly lost its appeal! Other sites I use regularly are the ordinary things like Hotmail, RBS Banking and job hunting sites like: environmentjob.co.uk, environmentjobs.co.uk, ecology-jobs.co.uk etc (I need a new job desperatley!!!). I have a huge folder of goat related websites in my favourites file, most are online shops to order supplies like: Goat Nutrition Ltd, Frenchall Goats, farmrite.co.uk but I also have a lot of goat husbandry sites, some are American but a lot are british. I also have a lot of sites about Zinc Deficiency as its been a problem for two of my goats a while back (long story, all behind me and the goats) I did a lot of my own research looking at Scientific Journals and medical texts to prove to my vet it was zinc. Anyway supplimentation keeps them healthy. Also have sites on Egyptian culture, Its a fascination of mine, Ecology and Wildlife and photography.....another passion of mine. Yep, Facebook, Hotmail etc are used here too. Also ebay, Photobucket and Youtube- the latter two essential for showing off your animals! They are a fabulous bunch of peeps and very very helpful and supportive. I can't speak for everyone but I am happy to have people from all over the world on the forum so Welcome! Its always nice to talk to other goatkeepers. How many AN's have you got? Milkers, goatlings? Any pictures...I love seeing pictures of other peoples goats. Anyway Welcome to the forum! I bought one of the ANs 2 years ago ..... and had 3 pet Pygmys at the time. I very quickly decided I wanted to get back in to goats properly (I used to have a small AN herd about 25 years ago!! ) and so re-homed the 2 female Pygmys, but kept my very aged Pygmy wether. Sadly, he went down with Pneumonia in January and despite lots of antibiotics - he never fully recovered and eventually passed away in his sleep. Anyway, after having bought Jangalli back in July 08, I then bought Della last Summer (both were bred by Jane Scales and so are Ivans line). Our 'story' is on our website www.glynelwyn.co.uk and which describes our life here in Wales, as well as having lots of pics along the way. Brilliant Website! Looks like you have got a beautiful place in a beautiful setting and its nice to see a mixed farm, so many larger farms rear only sheep or cattle and grow feed crops so its nice to see Geese, Pigs, Sheep and goats all living together and interacting. Perhaps you could contact the BGS to find out if there are any other details for the club? Kathryn Elphick, 114 Eaton Crescent, Uplands, Swansea, SA1 4QR. The other one..................hmmmmmm..........................well I have to admit to being a member last year, but they don't do anything at all during the summer and the winter meetings were a bit sparse. They don't appear to want to get involved in any little shows apparently either, which is a great shame as there are bound to be people who'd like to have a go at a small club show and learn the ropes,...otherwise its full on with the bigger 2 and 3 day shows at Builth Wells. They don't want to get involved in having a website, or updating anything, or changing anything.....and no one ever knows about it, cos they don't advertise anywhere.........so all in all.....not particularly impressed. Such a shame. Its a shame the club is not very proactive, but that seems to be the way of a lot of things these days. Of course it's ok if you join here- I'm trying to get more people onto the forum! I had a look at your website a few weeks ago and it is a lovely place you have. 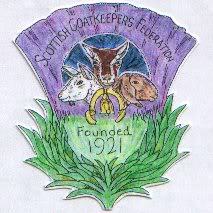 I'm susprised that your local goat club aren't very proactive, I always thought the Welsh goatkeepers were quite full on with their goat clubs. Although now I think about it, they never seem to host BGS conferences or anything like that. I feel like I haven't been here for ages! Strangely enough I had a newsletter from the SW Wales club this week (and a reminder to join) and their membership looks to be about 20 or so people at the moment ! Still nothing much going on with them, and as I said - they don't do ANYTHING during the summer ?!?!? BTW Kream is due at the end of April- I never came back to you! The people that were supposed to take her last October have been back in touch as well recently. I have been in touch with Jane Scales about maybe getting a male kid, but I haven't decided yet, and she isn't due to start kidding until into April. I also have emailed Maggi Franklin but I haven't heard back yet from her.